The debate over “Is Jazz Dead” seems so tedious and dated that it isn’t worth addressing any more. Let’s agree, jazz is not likely to ever regain its 1930s status as American’s “popular” music, any more than classical music will fill stadiums or dance halls. Rather, let’s ask “how do we keep jazz vital, ever-evolving, and heard by an expanding audience for years to come?” Vijay Iyer made the accurate and interesting observation in the February 2011 issue of Jazz Times that college level jazz programs seem to be proliferating, and graduating more and more students, without any increase, and maybe a decrease, in performance opportunities (“Too Many Graduates, Not Enough Gigs”). The upside of the popularity of this level of jazz education is the potential to bring jazz to a wider audience in the community at large and in our nation’s schools. Maybe if we build it, they will come? But we are not likely to see a lot more jazz venues until there is evidence that more people want to hear the music, not just play it! We can’t depend on college programs to build the audience that will ultimately pay to hear their graduates, any more than we can depend on college programs to stimulate the interest in performing jazz music. An interest in the arts in general comes from early exposure, and in the long run, the development and expansion of jazz depends on catching kids’ ears well before high school graduation. Or even before middle school graduation. 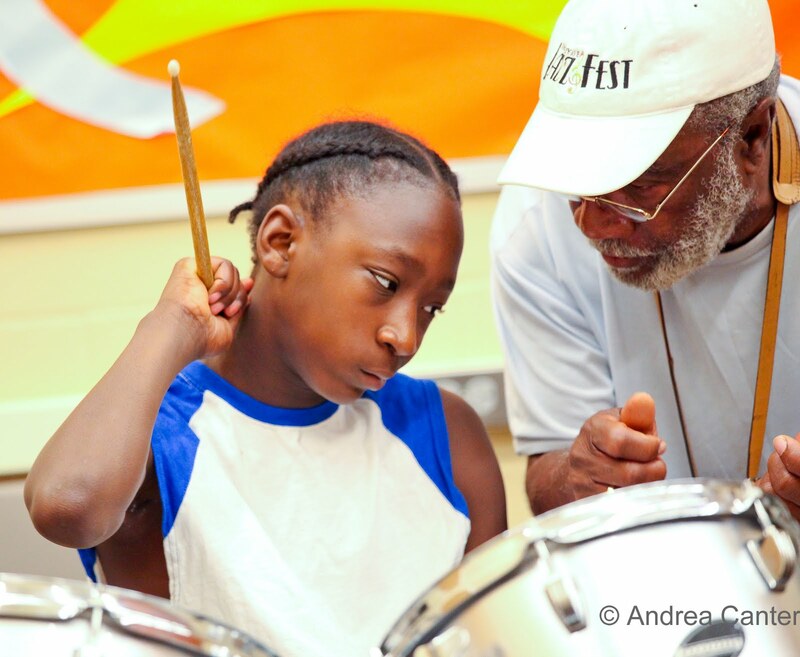 Community jazz education efforts are essential beyond what our public schools can offer, which often is very little. There are notable exceptions right here in the Twin Cities and elsewhere, public middle and high school programs generally pushed ahead by an ardent educator who takes extra time to build a jazz band and/or combo program. But school budgets are such that arts generally fall by the wayside when the bottom line is in the red. To inspire interest in jazz performance, as well as to build a future audience, we need community programs and partnerships. 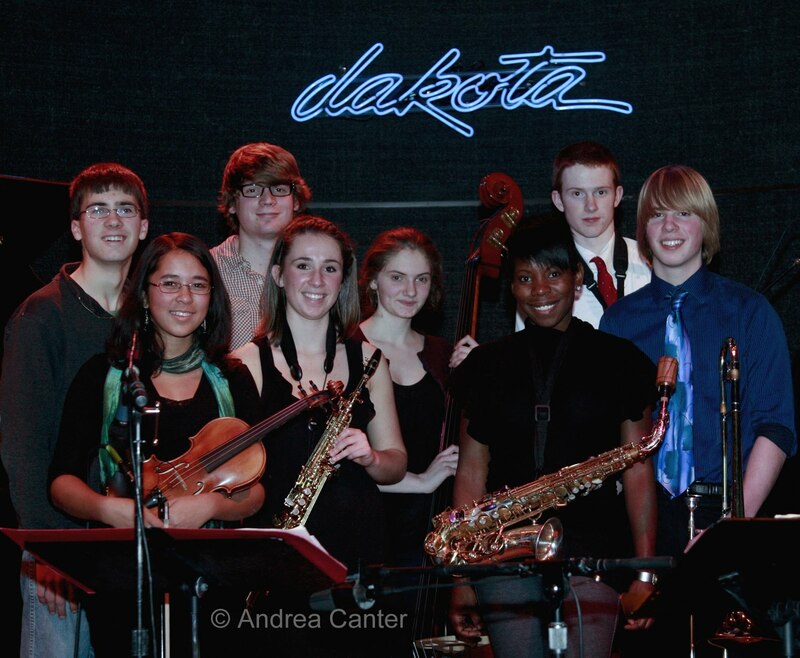 Locally one such entity is the Dakota Foundation for Jazz Education. And I am on the Board so this does border on propaganda. But hey, it’s my blog and if you are reading this, you have some interest in supporting jazz, right? DFJE has been around for about 13-14 years, initiated by Lowell Pickett of the Dakota Jazz Club and long-time patron, the late Jane Matteson. Originally called the J-Train, it was aimed middle and high school students, bringing some of the Dakota’s guest artists in for afternoon clinics and demonstrations. It’s grown in scope over the past 5 years or so, bringing some national jazz programs like the Brubeck Institute and Monk Institute to town to work with local jazz bands; sponsoring a youth stage at the annual Twin Cities Jazz Festival; cosponsoring an annual high school jazz piano competition with the Schubert Club; providing scholarships for students attending six area jazz camps; and perhaps most notably, sponsoring the Dakota Combo –a highly selective ensemble of high school musicians—through the instructional programming of the MacPhail Center for Music. 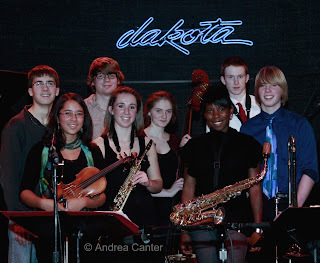 While the Combo in particular promotes a high level of instruction and performance for a targeted group of already-skilled students, it also brings jazz into the community through public performances (at the Dakota, MacPhail, jazz festival, other clubs) and through an annual day touring area schools. Those school visits include introducing jazz music to young students as well as offering a more specific demonstration of jazz to the school’s jazz and general music students. The goal is to inspire budding musicians and to expose others to jazz. In other words, to promote talent and to build a future audience. DFJE recently was awarded an MRAC (Minnesota Regional Arts Council) grant to bring national and local jazz artists into a group of metro schools over the next 18 months. Again the goals are two-fold---to offer specific master classes and clinics to all levels of jazz students to hone their skills, and to offer informational performances and demonstrations to the general student body to help build a future audience. 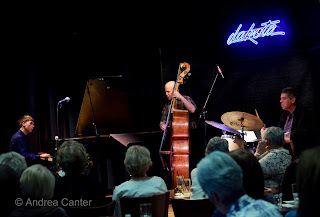 The fundraiser is also an opportunity to honor jazz educators, and this year the DFJE steps outside the box and will present the Jane Matteson Jazz Educator Award to KBEM Radio rather than to an individual. 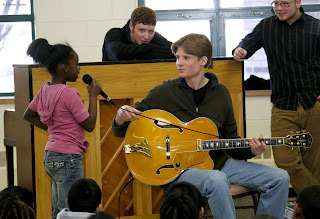 Celebrating 40 years of teaching students about jazz and broadcasting, of presenting a wide range of jazz and related music to its radio audience, and sponsoring such programs at the Twin Cities Jazz Festival, music in the parks, REEL Jazz (film series) and most recently, a series of community education classes through Minneapolis Schools, KBEM has been the premiere source of jazz education in our community. Finally, the fundraiser presents inspiring words – from a former recipient of DFJE programs (Joe Strachan), from parents of a current program participant (Carmen and Martin Tschofen, parents of Quentin—Combo pianist and 2010 winner of the Jazz Piano competition), and from our very special guest, Branford Marsalis. In town for a concert at Orchestra Hall that evening, Branford has graciously agreed to talk about inspiring young musicians and audiences through jazz education. If you are so inclined to invest in the future of jazz through the DFJE’s programs, please consider registering for the Jazz Brunch. You can also simply make a donation. Visit the website for registration or donations at http://www.dfje.org/. And consider attending some of the free events that showcase young jazz artists – the Dakota Combo performing at the Artists Quarter (May 5) and at MacPhail (May 12), the jazz piano scholarship competition finals at the Dakota Jazz Club (May 15), the jazz piano scholarship finalists at the Artists Quarter (June 2), 6-7 student ensembles on the Youth Stage at the Twin Cities Jazz Festival on Prince Street in St Paul (June 25). Watch the website for more.